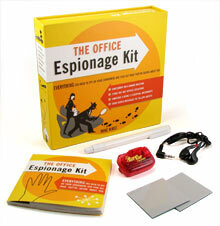 This essential workplace kit includes all sorts of sneaky (and priceless) gadgets. Of course, no spy kit would be complete without a book of spy tips to go along with it. You’ll learn all sorts of new things you never thought possible.